Shinkaruizawa, Kyukaruizawa | Karuizawa is a resort near Tokyo or Karuizawa. 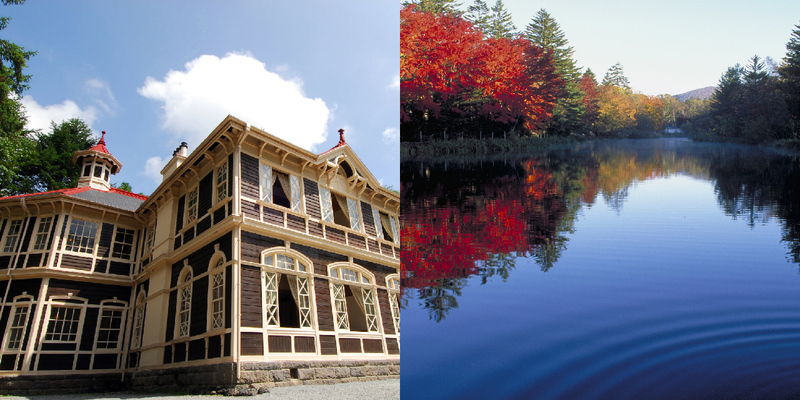 When a Canadian missionary called A.C. Shaw spent a summer with his family in Karuizawa in the middle of the Meiji Period, it changed Karuizawa forever. Villas began to spring up in and amongst the green forestry of Karuizawa, rows of unique shops emerged and it soon became a beloved resort people travelled from far and wide to enjoy. Begin your journey here, with some of the best spots of interest, from the new to the old and long-established. Kumobaike Pond with its seasonally changing beauty is a particular highlight as well as The former Mikasa Hotel with its well-known historical architecture. Let’s explore!